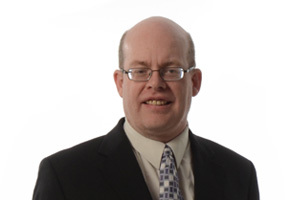 In over 20 years of working in the public accounting field, Dan has gained extensive knowledge providing assurance, accounting and taxation services to owner-managed businesses, public sector entities, not-for-profit organizations and personal tax clients. Dan Coleman obtained his Honors Bachelor of Mathematics/Chartered Accountancy Option from the University of Waterloo in 1993. He first joined Welch as a co-op student in 1989 and then became a full time employee after graduation in 1993 and received his CA designation the same year. He became a manager in 2002 and a partner in 2005. He also serves on the Executive Committee of Welch. Assurance and business advisory services for private companies in the manufacturing and distribution sectors plus assurance services in the broader public sector and not-for-profit organizations. Former Treasurer - Prince Edward-Hastings Habitat for Humanity. One week in Barcelona, Spain in October 2010 with my wife Jennifer. We stayed in a beautiful boutique hotel in a converted mansion. Wandering through the medieval streets of the Barrio Gotico, every day was a new adventure with a different path and amazing architecture. Finding a perfect tapas bar on one of those adventures. Touring Camp Nou, the home Stadium of FC Barcelona with its museum with the history of the club and its importance in the Catalan culture was an incredible not to be missed experience. Receiving my CA designation, becoming a partner at Welch and my marriage to my wife Jennifer.